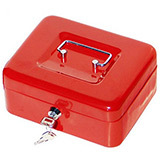 Never store emergency override keys in the safe because if you forget the code you can't open it. 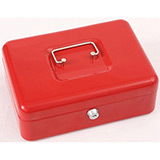 Here is a selection of Cash and Document Boxes to choose from. These are suitable for use in the home, schools, offices and in sports clubs. 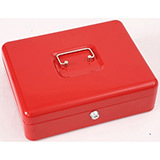 These are perfect for storing petty cash such as bags of coins or a few notes.All cash boxes come with free delivery to the GB mainland.